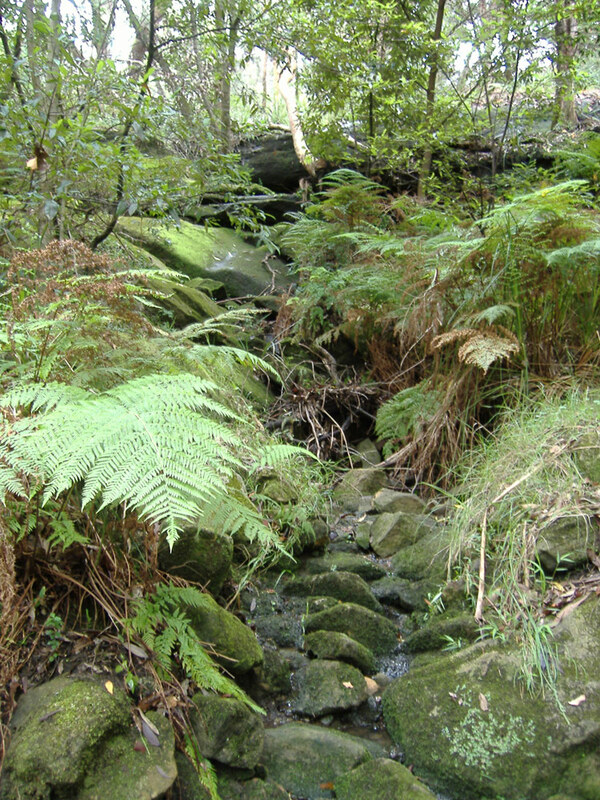 Most people enjoying the bushland and waterways of Wolli Creek Valley assume that the bushland is already under the protection of a Regional Park. It’s not. Some progress has been made, but the commitment is still a long way from being met. In 1998, the NSW State Government announced it would establish a Wolli Creek Regional Park, under National Parks and Wildlife Service (NPWS) management. By February 2017 about 46 of the 50 hectares assigned to the Park have been passed over to NPWS as land manager for the Regional Park. The threat of the western part of the Valley’s bushland being destroyed for the New M5 part of WestConnex has abated, but only at the cost of the obliteration of the Critically Endangered Cooks River Castlereagh Ironbark Forest further up the Vallay at Beverly Grove. The Wolli Creek Preservation Society is campaigning for urgent Government action to finally complete the transfers of lands slated for the Wolli Creek Regional Park by the end of 2018 – 25 years since the Society first proposed it. If you would like to support the Regional Park, the first thing to do is to join the Society and perhaps even become active in bush restoration. 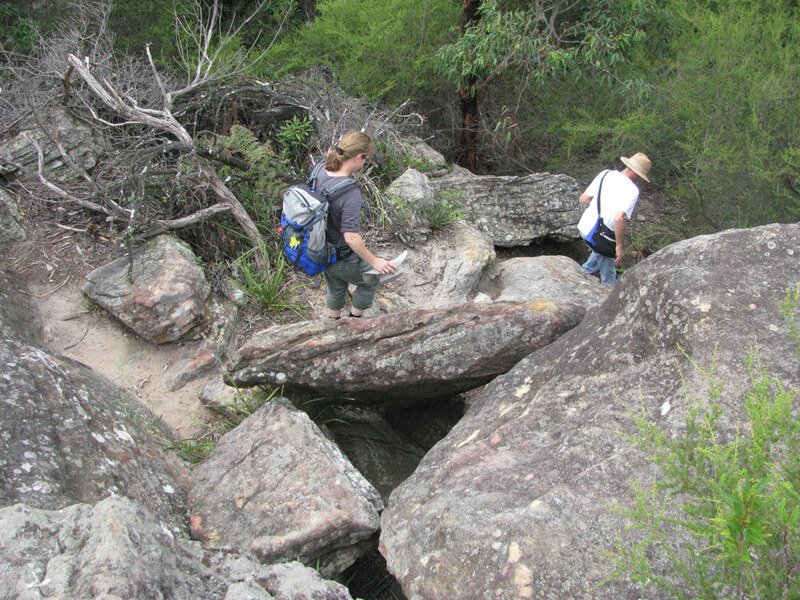 Much of the Wolli Creek Valley’s extensive areas of bushland are of significant conservation value. This bush supports a great diversity of flora and fauna and provides exceptional recreational opportunities for local residents and visitors. 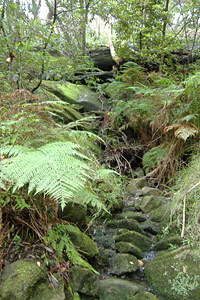 Wolli Creek is one of the few remaining creeks in inner Sydney that has retained its natural banks. This unique area has somehow survived to become an essential part of the region’s natural heritage. How has it survived? The Wolli Valley was saved from most building development in the colony’s early days by its rugged terrain and by being off the main lines of southern Sydney’s expansion, which mostly followed railway lines, over which there was much politicking and probable corruption. From 1949, the Valley was preserved but neglected because of a major road reservation under the County of Cumberland Plan. This was eventually known as the M5 East corridor. 1978 saw a road proposal for an eight-lane freeway as a surface road from Redfern to Liverpool via the Wolli Valley. Strong community objections led to the formation of the Wolli Creek Preservation Society in 1984. The Society kept up a determined campaign against a freeway through the Valley and proposed the formation of the Wolli Creek Regional Park. This proposal was introduced into Parliament as a private member’s bill by Clover Moore, but lapsed when Parliament was porogued later that year. However, as an ALP campaign commitment in 1998, the Carr Government announced the prospective establishment of the Wolli Creek Regional Park, and in 1999 the NSW Government announced that the M5 East would go underground as a tunnel under Arncliffe. The M5 East tunnel opened in 2002 and the formation of this Park seemed imminent. 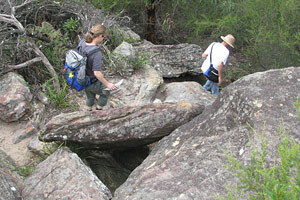 In 2003 NPWS acquired the 8.9 ha of Girrahween Park, below the Earlwood shopping centre. But despite WCPS pressure, it was not until 2004 that the then Minister of the Environment signed off on a Plan of Management and Masterplan for the regional park, essentially the same as the draft prepared four years earlier, and just in time for a public meeting called by the Society. But there was not much evidence of action in the ensuing two years, until another public meeting was called in 2006 by the Society. “Where’s Our Regional Park?” we asked. All public owners seemed to indicate that there were no barriers to the transfer of lands to the National Parks and Wildlife Service. Access across Sydney Water land at the historic sewer crossing called the SWOOS would be ensured, with the bulk of the land to be managed as part of the Regional Park. The necessary agreements between (the then) DEC, Sydney Water, Department of Planning and Canterbury City Council would be reached to allow essential rezonings. The RTA road reservation would at last be lifted before the following State election due in March 2007. There was subsequent progress, but it was slow, in part because of the complexities of land ownership. Over 100 different lots, some of them in private hands, are within the park boundaries. Some required subdivision before transfer, one has sensitive Sydney Water infrastructure across it and one has minor contamination. And, of course, additional resources were needed to undertake extensive surveying, mapping and negotiation with the various owners. insist that State agencies, notably Sydney Water and the RMS, immediately hand over the relevant landholdings within the Park boundaries. accelerate the compulsory acquisition by the Department of Planning of the few blocks of privately-owned land within the Park boundaries. Wolli Creek Regional Park has been long awaited by local residents and all those across Sydney who are concerned about the environment. We have patiently accepted the acknowledged technical difficulties that have slowed progress, but now the Government needs to cut through the bureaucratic tangles to deliver on a promise that will be 20 years old in 2018.